well below the high cash incomes experienced between 2011 and 2014. Net farm income can similarly be expected to improve by approximately 7.8% to roughly $64.1 billion. This would also be an improvement relative to the most recent official estimate of $61.5 billion in 2016 but far below the record highs of 2011 to 2013. Kuethe, T., T. Hubbs, and D. Sanders. "Interpreting USDA's November Farm Income Forecast." farmdoc daily (7):219, Department of Agricultural and Consumer Economics, University of Illinois at Urbana-Champaign, November 29, 2017. Kuethe, T., T. Hubbs, and D. Sanders. 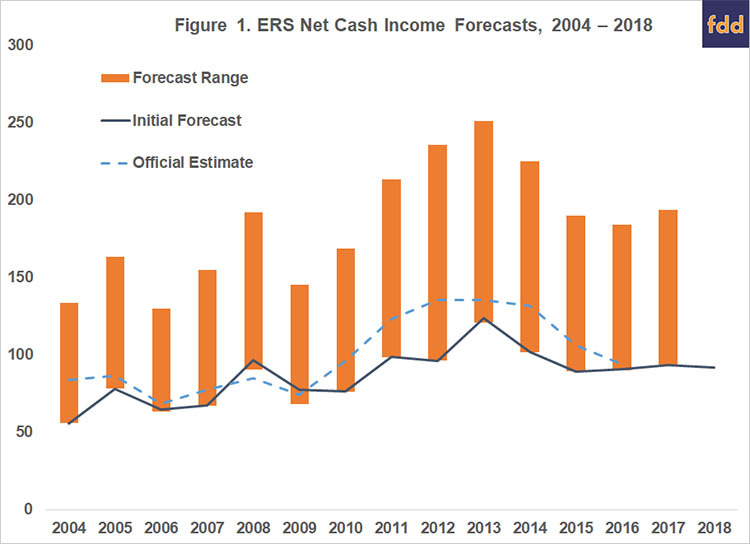 "Interpreting USDA's Recent Farm Income Forecast." farmdoc daily (7):160, Department of Agricultural and Consumer Economics, University of Illinois at Urbana-Champaign, August 31, 2017. Kuethe, T., T. Hubbs, and D. Sanders. 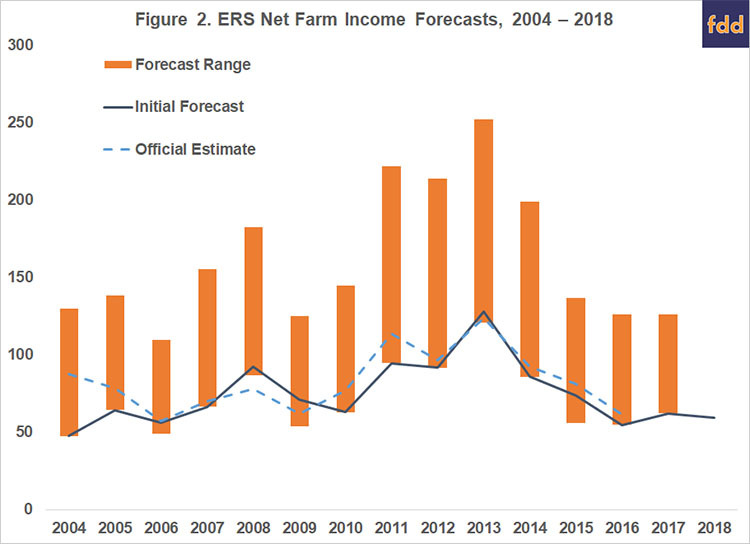 "Interpreting USDA's Net Farm Income Forecast." farmdoc daily (7):156, Department of Agricultural and Consumer Economics, University of Illinois at Urbana-Champaign, August 25, 2017.